The 2nd OST (original soundtrack) for tvN cable channel drama series Shut Up Flower Boy Band is released on February 13th, 2012, together with music videos at a later date. The Shut Up Flower Boy Band OST part 2 is a song named with title of Jaywalking (무단횡단). 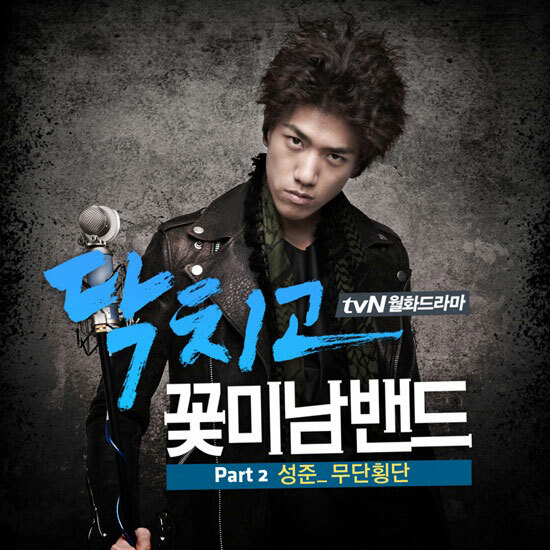 Jaywalking is sang by Sung Joon (성준), the actor in leading role in the drama series. The song is composed and written by Lee Jae Hak.